Riverside Memorial Park Cemetery is the newer of the two cemeteries owned and operated by the City of Regina. It has a special section (Field of Honour) for military and police burials. More information about Riverside Memorial Park Cemetery and an online search tool to find burials is available on the City of Regina website. There are four large cemeteries operating within Regina city boundaries. The City of Regina owns two of these: the older Regina Cemetery and the newer Riverside Memorial Park Cemetery. The Regina Jewish Cemetery is immediately adjacent to Regina Cemetery. The fourth large cemetery, Regina Memorial Gardens, is privately owned. 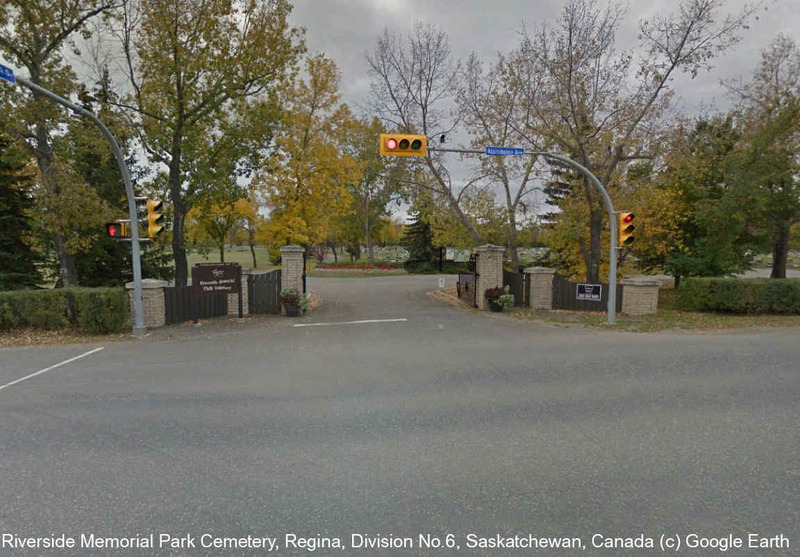 Smaller cemeteries within the city boundaries include the Royal Canadian Mounted Police Cemetery, Regina Indian Industrial School Cemetery and Saint Pauls Anglican Columbarium.